It is the first time a blood test has been used in this way during clinical trials of targeted drugs, proving that the technique can monitor cancer simply and quickly. The study, published in the journal Clinical Cancer Research, involved looking at almost 160 blood samples from 39 cancer patients with different types of late-stage disease. This five-gene signature, known as MG5, was developed by researchers at The Institute of Cancer Research, London. It has now been validated in tests of samples from 68 patients led by scientists from the Children’s Oncology Group in the US, in collaboration with the ICR. 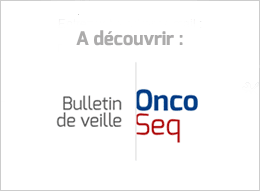 The study was conducted using archived tumor samples from patients enrolled in the Children’s Oncology Group D9803 clinical trial, and the results suggest that a risk-stratification approach using the MG5 score has the potential to be readily adaptable across all clinics if validated in a bigger cohort. The reports centre on the supposedly serendipitous discovery of a link between an experimental malaria vaccine for pregnant women and a molecule that sits on the surface of cancer cells. If you think someone, somewhere will make big money off cybersecurity the next few years, then you can bet on the trend by buying an Exchange Traded Fund (ETF) with a diverse set of companies. Now, for the first time, someone has come up with a similar way to bet on a trend within biotech – that immunotherapy is the next big thing for cancer. The new naming will affect all regions except the US the US and Canada, where the American Merck & Co owns the rights to the Merck name. In those countries, the company will therefore continue to operate as EMD Serono in the biopharmaceutical business and EMD Millipore in the life science business up until the planned acquisition of Sigma-Aldrich has been completed. Bristyol-Myers Squibb has struck a $1.74 billion deal--fronted with a $350 million cash buy-in--to grab worldwide rights to an early-stage anti-immunosuppression drug from Five Prime that can be combined with its pioneering PD-1 drug Opdivo. Pennsylvania's Galera Therapeutics closed a $37 million Series B financing to advance its treatment for a common side effect of radiation therapy, bringing some big-name investors to the table. While the new NCCN guidelines are not expected to have that kind of immediate impact on cancer drug prices, experts think it will add to the growing pressure on drugmakers who might then be more restrained when pricing their next meds. Despite all the political fireworks, Scannell says that “a likely outcome is that things grind slowly along their current trajectories”. I’d take that over some of the other possibilities, believe me. She and her colleagues were expecting to see differences in survival based on treatment, "but there really didn't seem to be any difference at all. Which sort of argues for doing the bare minimum versus doing the most you can do." Scoping the Future, a report recently published by Cancer Research UK, provides national evidence to back the concerns I hear on a daily basis: services under pressure, doing their best to manage increasing demand, with a lack of trained staff. Abraxane for pancreatic cancer is among a handful of cancer drugs being removed from the Cancer Drugs Fund on 4 November, as the regulator, the National Institute for Health and Care Excellence (NICE), struggles to bring the budget for cancer drugs under control. Emma Cairns, who was told more than four years ago that her cancer was incurable, said women living with the disease felt let down by David Cameron, who she said had failed to keep a promise to collect vital data on secondary breast cancer cases, where somebody who has had the disease before is rediagnosed. At its heart, the Hershberger case is yet another example of how society seems to approve of a view that children are, in essence, their parents’ property more than they are autonomous beings who have their own rights beyond those of their parents. "The Truth In Small Doses," by Clifton Leaf; "Toms River," by Dan Fagin; "p53: The Gene That Cracked the Cancer Code," by Sue Armstrong; "The Immortal Life of Henrietta Lacks," by Rebecca Skloot; "Heal," by Arlene Weintraub; and "The Emperor of All Maladies," by Siddhartha Mukherjee. Survey of thousands of animal studies for drugs to combat disease finds majority not rigorous enough, leading to trials that waste time, money and suffering.